Anna Karinina never had a chance. 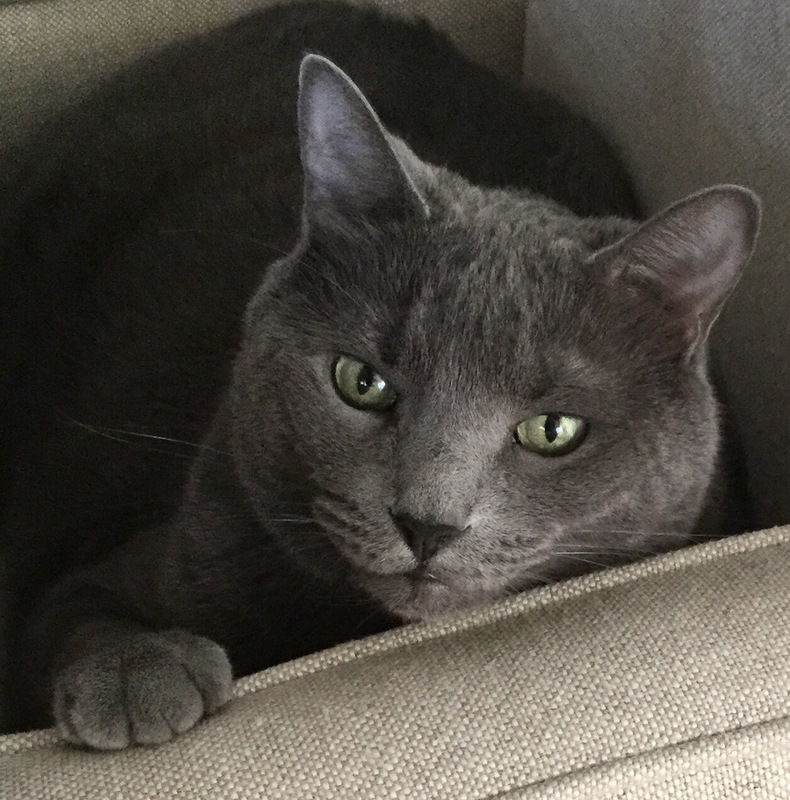 Our Russian blue, Count Vronsky’s namesake, at his most elegant. Effin’ A for Awesome! Beyond Awwwwwwe…. Museum quality Portrait of The Count. Wow. Just saw the close up. Love it beyond what I can describe ! Handsome boy pretty much fills up your chair!